Barcelona Photoblog: Casa Pérez Samanillo: The Equestrian Club or The Fish Tank? Casa Pérez Samanillo: The Equestrian Club or The Fish Tank? 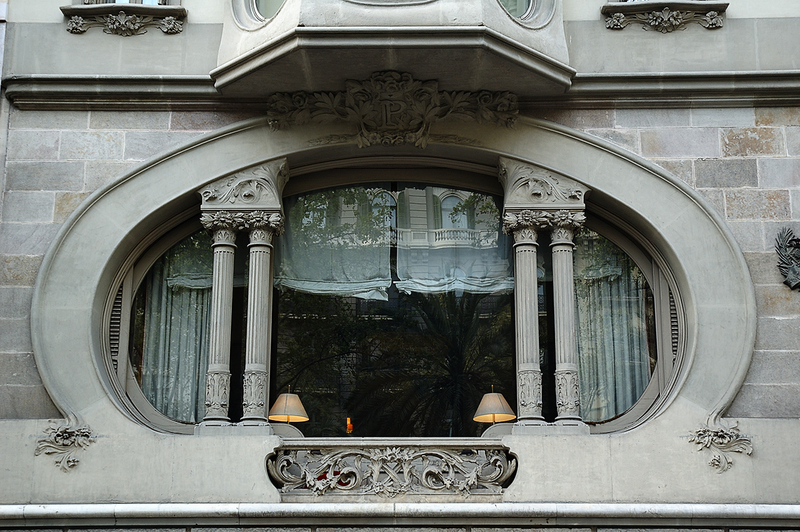 Built in 1910 by Joan Josep Hervàs i Arizmendi, Casa Pérez Samanillo located at Diagonal Ave. 502-504 (or Balmes 169 bis, as it is at the intersection with this street) is the headquarters of the Equestrian Club (Círculo Ecuestre). Of Neo-Gothic style this elegant house features an impressive oval window through which you can see the dining room, if you are on a bus or similar of course. Due to its peculiar shape people call it the fish tank. Even though the Equestrian Club was founded on 26th November of 1856, it was not until 1950 that it was established in its current location. Remember to click on the image for a larger format and better experience. What a gorgeous photo! Sure, it' an impressive and amazing oval window! Well done! Como se dice fish tank en espanol?? I agree that it does look like one, except the fish don't move much! I really enjoyed your description of Calçotada the other day. Your explanation was very good ! And your photos are as gorgeous as ever. Nathalie, you say: Acuario or Pecera although there is a different between a fish bowl and a fish tank we use more or less both terms to any recipient. Fish tank sounds like a big one as this window is. Uma fachada impressionante e de uma beleza sem par a janela!